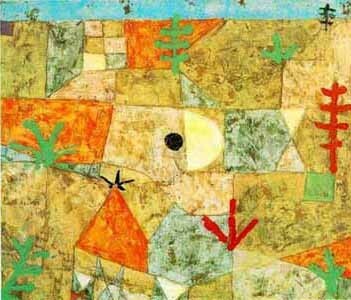 Paul Klee was born on December 18, 1879 in Switzerland. His father was a German music teacher and his mother was a Swiss singer. 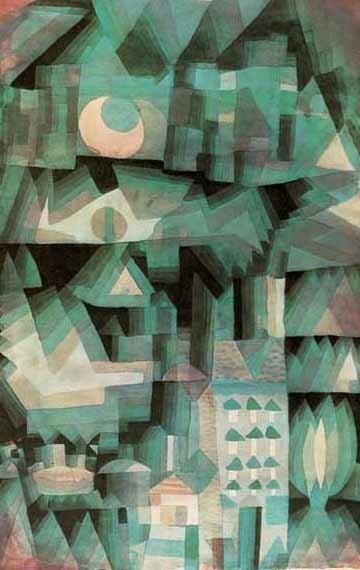 Klee learned to play the violin and had originally planned on becoming a musician, but thought it was too confining. He taught at the German Bauhaus school of art, design, and architecture with the Russian painter, Wassily Kandisnsky. In 1906 he married a pianist and had a son. He died on June 29, 1940, a few months before his sixty-first birthday. 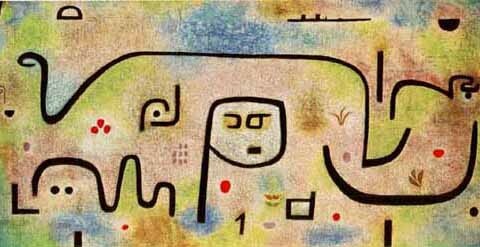 Paul Klee was involved in the cubism, expressionism, bauhaus, and surrealism art movements. He cannot be confined to a single movement because of his style of art, which was very much his own. He used letters, numbers, thick black lines, mosaic, dreamlike colors, and gloomy colors toward his death. The type of painting he did was based on how he was feeling when he did it, so it varied quite a bit. The Golden Fish was painted in 1925 on paper with oil and water based paint. 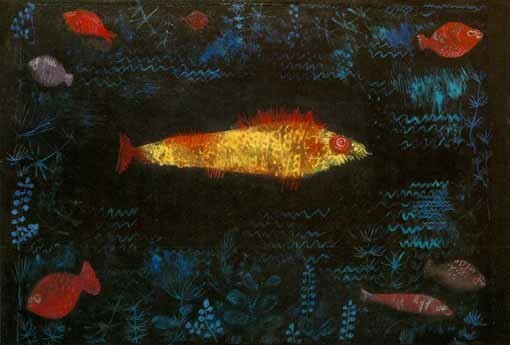 It's my favorite because I like the darker colors and then the bright fish in the middle. It looks kind of primitive, but it also has some elements of more modern art movements with the brighter colors against the dark.